Getting your driver's license and buying your first car is a time of excitement but also one of uncertainty. For most people, getting a car is often touted as the average person’s second most expensive purchase after buying a home. How do you go about picking the right car? And, how do you know if you’re getting a good deal? 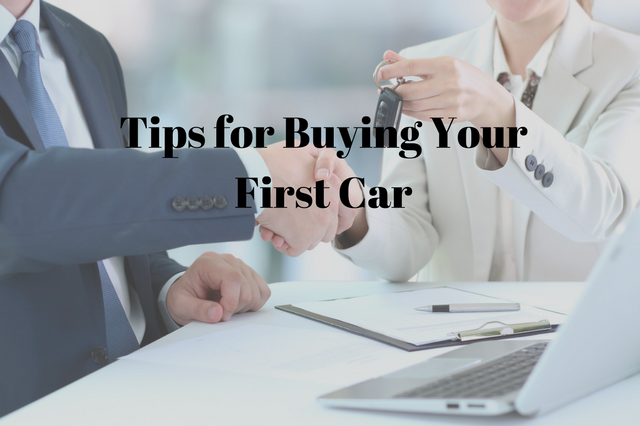 Read on for a few tips for first-time car buyers. Are you planning on buying a new or used car? Will you be financing your vehicle? Look around at various rates from different lenders and be aware of your credit rating. Ensure you do your research first and uncover any hidden costs. Calculate your monthly living expenses such as rent, food, and utilities. How much money can you comfortably afford per month on your vehicle including gas, maintenance, and car insurance? How do you plan on using your vehicle? Are you planning on going up to the mountains in this new car, or will you stay in the city? Whether you’ll be using it every day and logging lots of mileage on the highway, in the mountains, or if you’re using it for short trips around town, the car you decide to purchase depends on your transportation needs. Driving in the Colorado might necessitate buying a car that can handle an icy climate. If you ski or snowboard, it would be best for your vehicle to have all-wheel drive. Click here to learn the difference of driving a vehicle with 2-wheel drive, 4-wheel drive, and all-wheel drive. Within your budget constraints, what car features are most important to you? Make a list of your top three priorities. Some common features to consider are trunk space, all-wheel, 2-wheel, or 4-wheel drive, air conditioning, heated seats, Bluetooth capability, cruise control, a rearview backup camera, and much more. Everybody’s greatest fear is getting a bad deal on their car. One of the beautiful things about the internet is that you can research different car models, their features, and various car dealerships all without leaving the comfort of your home. Once you’ve identified a few cars you’re interested in, try to talk with someone you know who has owned that specific car. What are things they liked or disliked about it? How much did they pay for it? Is there a dealership that they would recommend, or one that you should avoid? Be sure to consider all of your options, but remember that if the car you’re interested in is backed by a manufacturer’s warranty, it might cost slightly more. Above all, do your research! With the proper planning, you’re sure to find the right vehicle at the right price that suits your needs and style. As the years go by, you’ll always remember that first vehicle, so make the experience as enjoyable and stress-free as possible. Don’t forget to take the right steps to get your Colorado driver’s license! Click here for parallel parking tips!